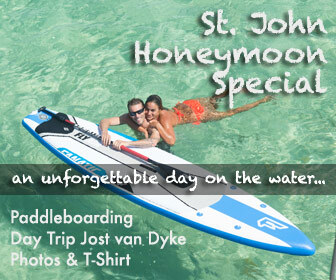 St. John with its beautiful beaches and warm, pristine water is the perfect place to learn to paddleboard. 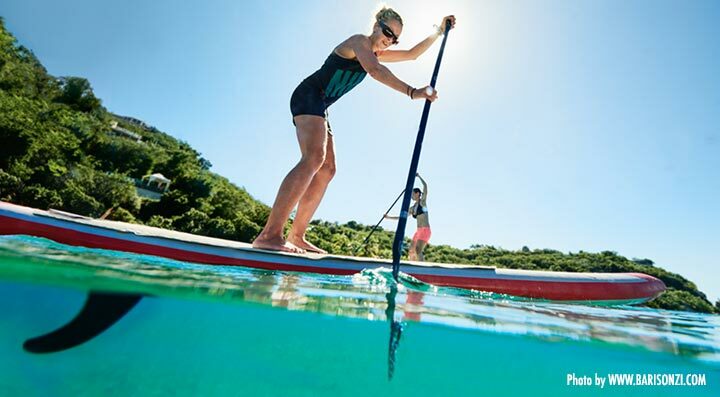 With a SUP you can get to those unspoiled, uncrowded places that cannot be reached by foot or car. In a 1-2 hour lesson we will teach you the basics and you will be safe to paddle yourself, even if it gets windy. 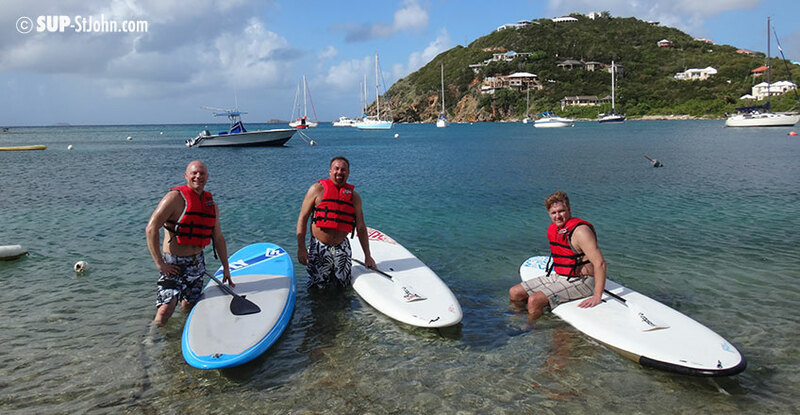 Paddleboarding is really easy, anyone from young kids to 70 year old seniors can do. Only condition: You should be able to swim. But don’t worry, we provide you with Life Vests and Leashes, so the board is attached to your foot and you won’t have to swim too far to get back to the board. 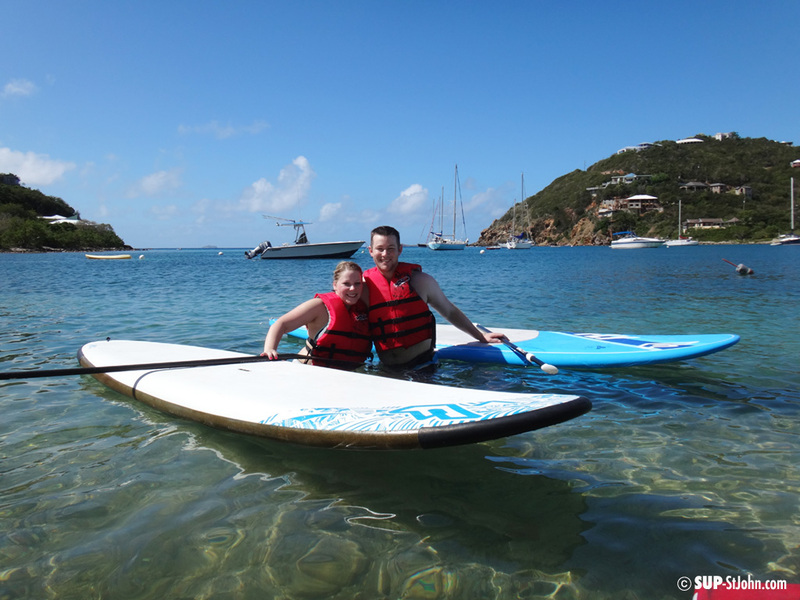 Check out this photogallery of all the people who learned to paddleboard with us! Individual coaching incl. video analysis – work on your stroke technique. 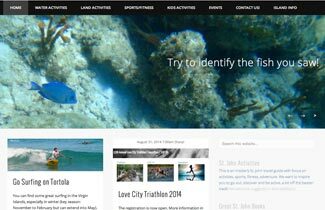 Lucy has attended workshops with the world’s best paddlers and surely give you some valuable tips. It is a technique that will make sure you are safe, even if wind is crazy and you will not get any problems/pain in your back, spine or neck. Please note that it is not possible to give Paddleboard Lessons inside the National Park. We have however identified some beaches outside the National Park that are good for beginners (photo above is the beach where we normally give lessons). 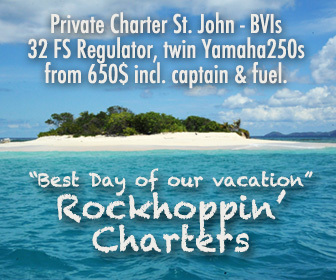 What most people do is take a morning lesson with us and then rent the board(s) for the day or week afterwards and take them to the National Park Beaches. Do you have young children, are not so good of a swimmer or just prefer to learn how to paddle in the privacy of your own home? If your villa has a pool, we can come over and teach you and your family there. You can also do SUP Yoga in your villa pool. 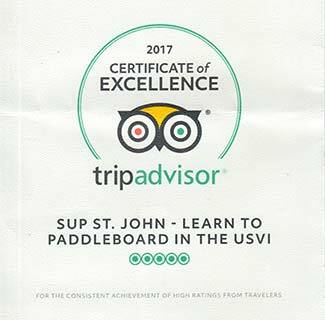 Find more about Pool SUP Lessons here.